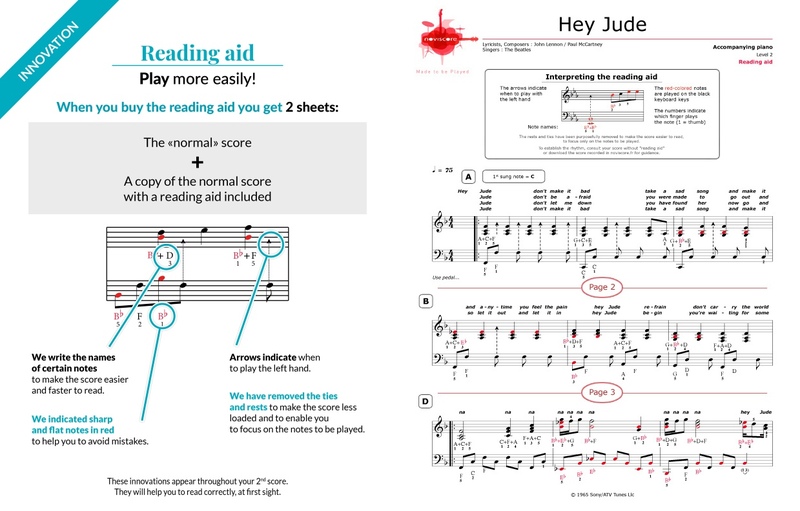 Hey Jude is made for the piano! 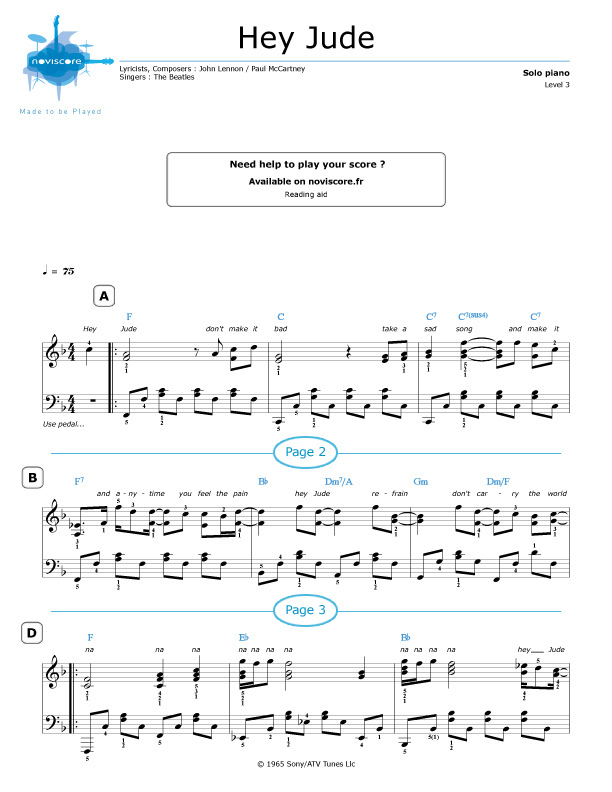 Written by Paul McCartney, this ballad was the first single released by The Beatles on their record label Apple Records in August 1968. 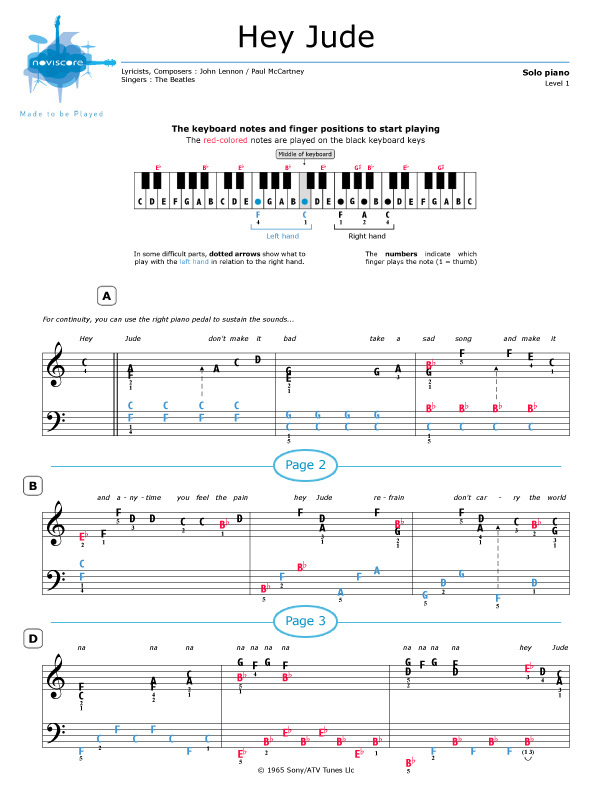 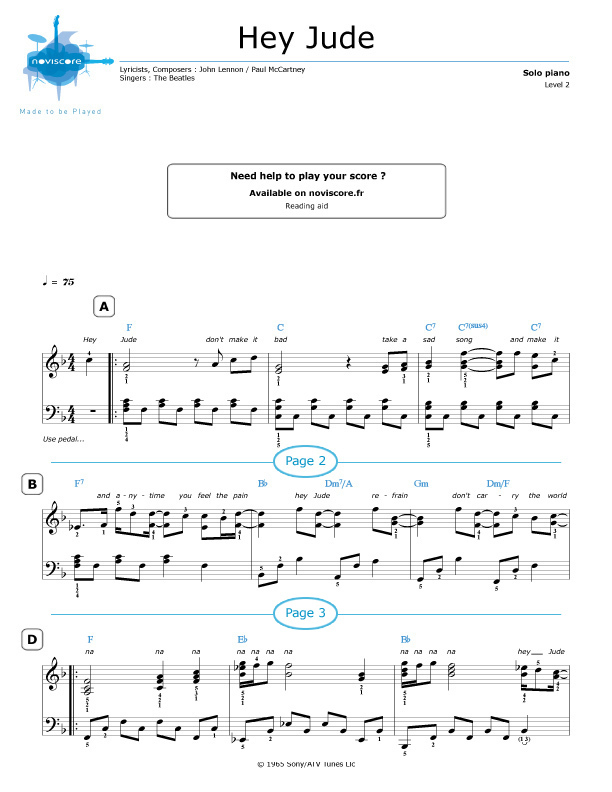 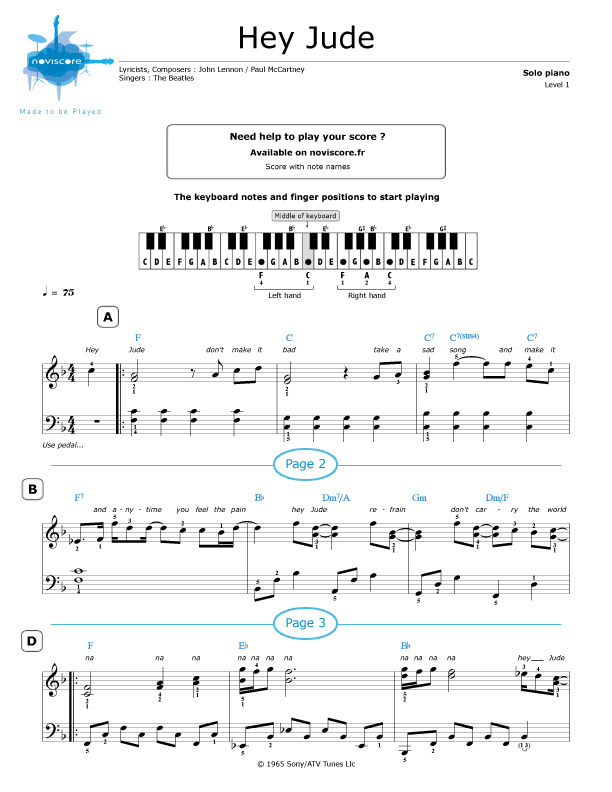 Whether you are a beginner or an experienced pianist, we'll have the right piano sheet music for your level of playing. 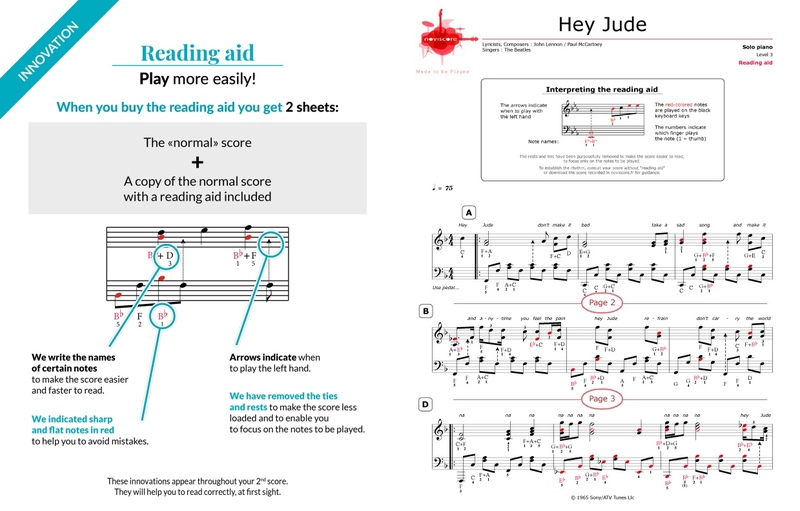 Choose from our three different adaptations for piano solo, with or without reading aid. 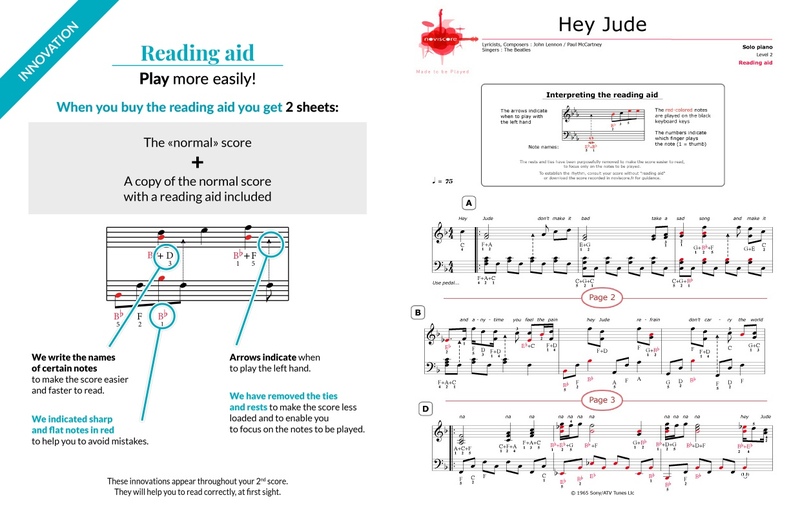 If you are learning to play the piano, you'll want to start with our easy piano music Level 1 with note names, but if you'd much rather sing along at the top of your voice, then try out our piano accompaniment Level 2 version. 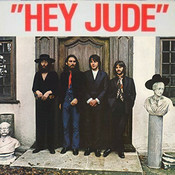 Hey Jude, which is more than 7 minutes in length, was the longest ever single to top the charts at the time and was number one in the American charts for 9 weeks, the longest for any Beatles' single. 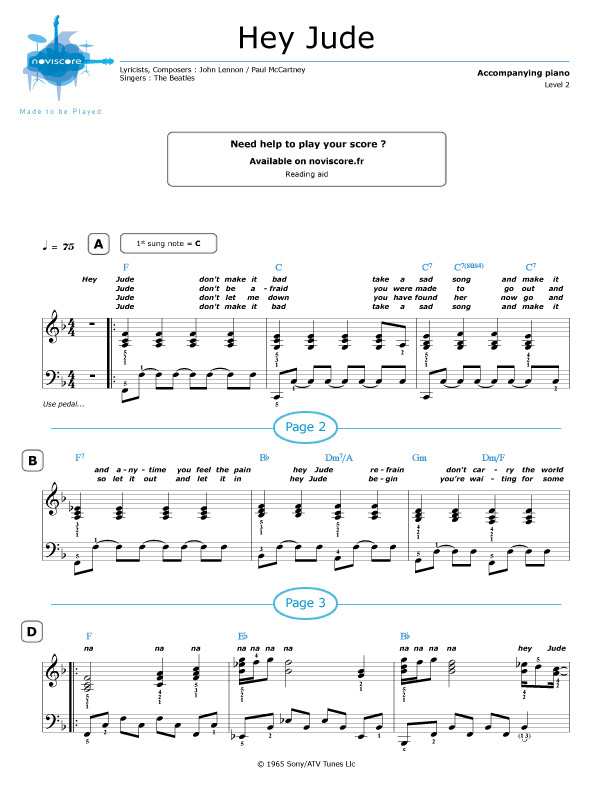 It has since become one of the biggest songs of all time.